Across the country, police brutality and the series of fatal shootings of mostly black men have soured many on the role that police officers play in the community. 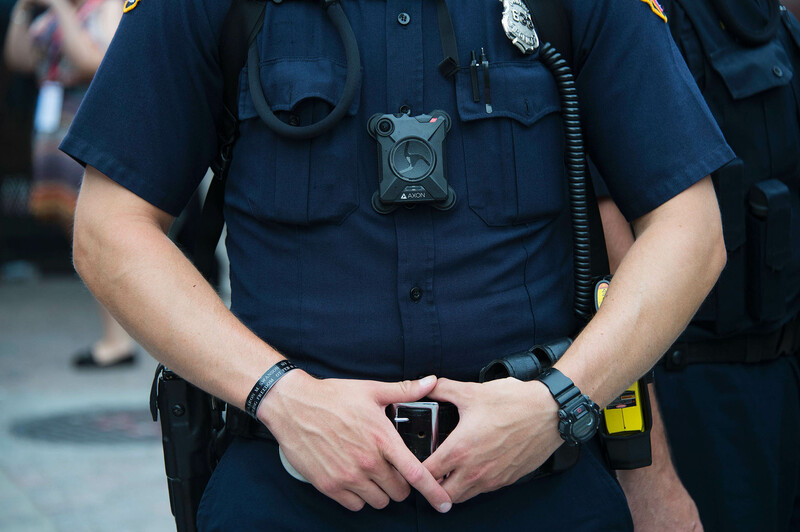 To combat those negative assessments, police forces are turning to an array of new technologies, such as body cameras, new communications technologies and social media monitoring services to (ostensibly) become more accountable to and engaged with the citizens they’re policing. With the new wave of spending comes more venture capital dollars invested in technologies that entrepreneurs are developing to solve these problems. Los Angeles-based SPIDR Tech, founded by two former officers, Rahul Sidhu and Elon Kaiserman, is one of the companies benefiting from this newfound interest in policing technology. The company raised $2.5 million from investors, including Sidewalk Labs (the urban tech subsidiary of Alphabet, Google’s holding company), Birchmere Ventures, Stage Ventures, Kairos Association, Heartland Ventures and No Name Ventures. From Tucson to San Antonio and Grover Beach to Redondo Beach, police departments are using SPIDR Tech’s automated messaging system to help departments respond to victims of crimes and keep them informed of the status of the investigation into their case. A graduate of the Techstars New York accelerator a few years ago, when I first saw the company they were focused on providing actionable intelligence and monitoring services to police departments, but pivoted into a communications platform when the company saw a bigger opportunity to help departments there. Rather than focus on predictive policing using fairly spotty data sets, SPIDR turned to improving communications. A small thing that Sidhu says can make a large difference in how policing is perceived. Establishing better, more responsive lines of communication becomes an easy way for departments to get another credit in that trust bank, he says. And, according to Sidhu, it works. In Tucson, the company has been running polls on the approval rating of the police department, and the scores increase among citizens who have received messages from the SPIDR service. “I was sitting on a boat with the chief of the Burlington Vermont department. He was telling me you need to focus on public perception… focus on something that might seem small but can make the departments feel like they’re getting results,” says Sidhu. In Tucson, where the victim notification program is already up and running, SPIDR has sent more than 1,000 texts and emails to victims of petty crimes to keep them informed on the status of a department’s investigations into their case. SPIDR is one of a growing number of startups providing better data analytics tools to police departments nationwide. Last month, Mark43 raised $38 million from investors led by General Catalyst and Jim Breyer of Breyer Capital. Additional investors included Spark Capital, Ashton Kutcher’s Sound Ventures, Bezos Expeditions, Goldman Sachs and General David Petraeus. Mark43 may be the best capitalized of the new companies working on data and communications tools for police, but it’s far from the only one. Recent Y Combinator graduate Elucd is also working on data and information technology tools for police departments, but it’s focused on the sentiment analysis of the neighborhoods that departments serve. Sidhu explains the services this way: Mark43 provides better records management tools for departments, his company takes that information and uses it to communicate more effectively with the community and Elucd takes the pulse of the community’s assessment of how its officers are doing. “Our goal is for this year 2018 to ensure that our customers can rival private sector companies in ensuring that people are staying in the loop and they know what’s happening with the investigation,” Sidhu says.